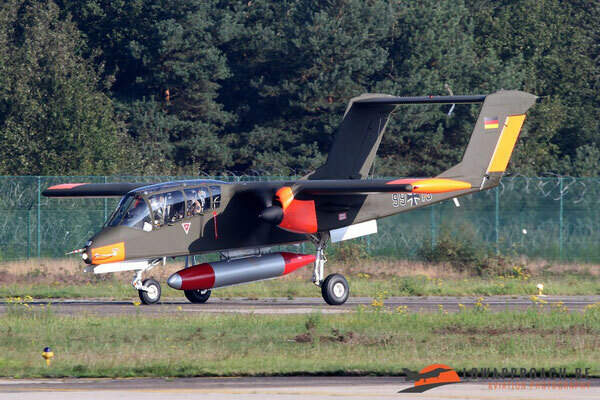 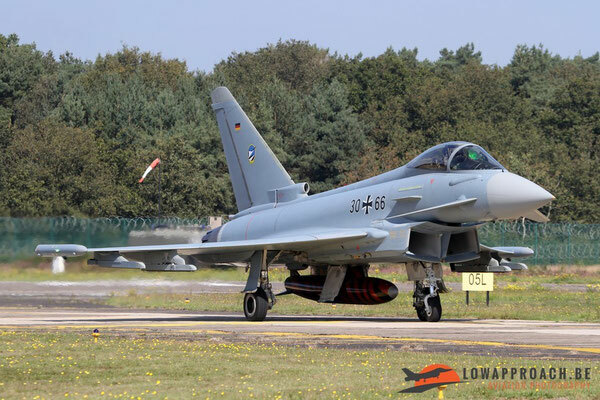 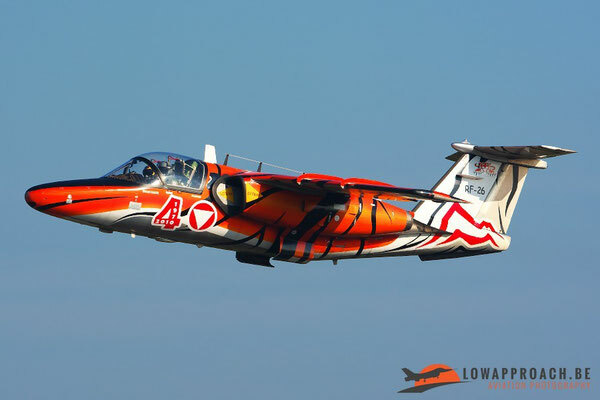 After an absence of more than 15 years an airshow was organized once again at Kleine Brogel. 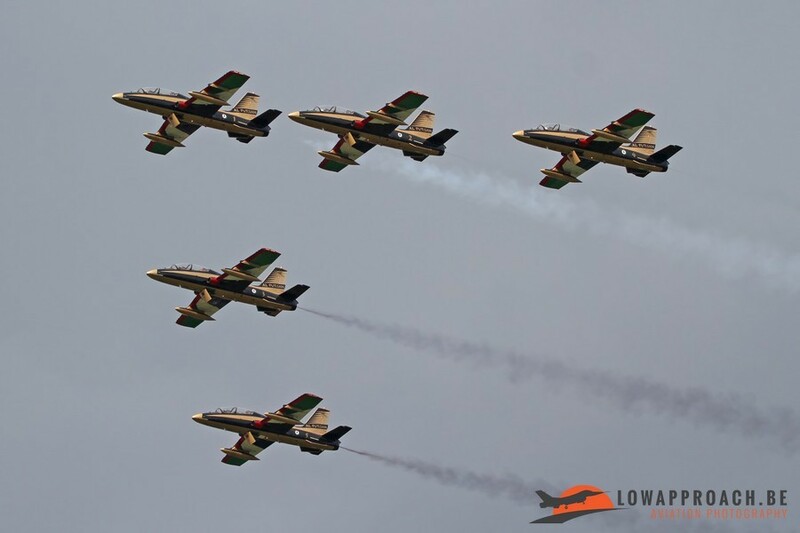 The last airshow held at this airbase dates back to 1998. Since then times has changed drastically. 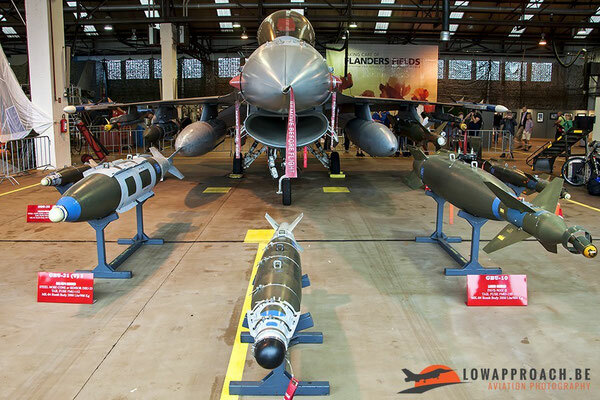 Air Forces around Europe and the world were hit by mayor budget cutbacks forcing them to retire or reduce operational aircraft. 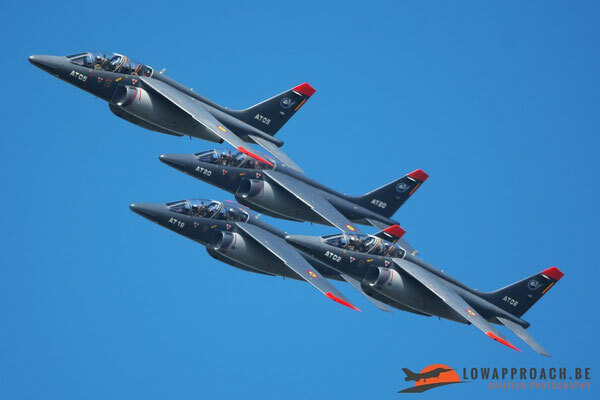 This change of reduced and retired airframes was and is also noticeable at airshows because fewer and fewer aircraft were/and are able to attent. 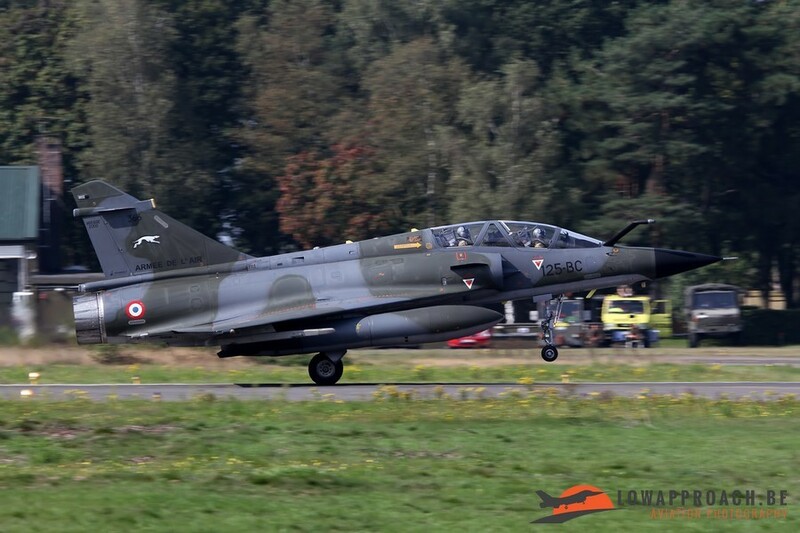 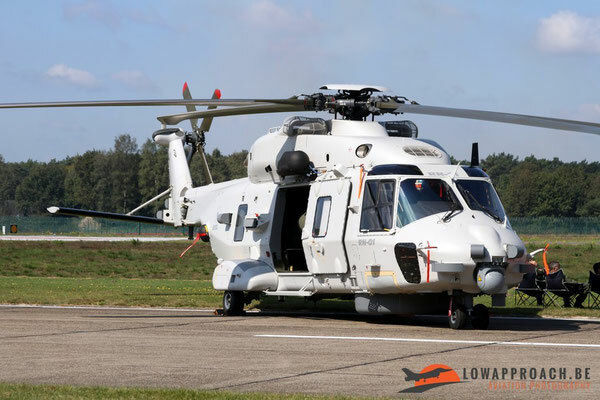 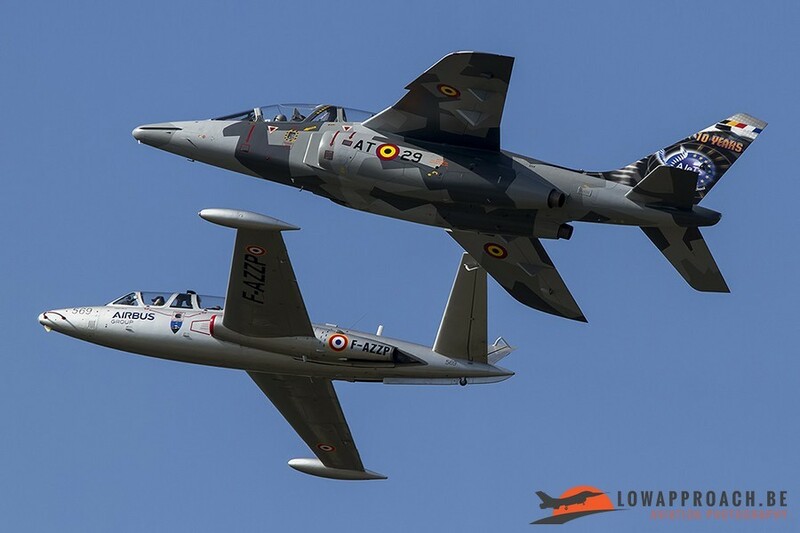 But despite all these cutbacks the organization of The Belgian Air Force Days managed to attract some really nice aircraft to the show, both in the air and on the ground. 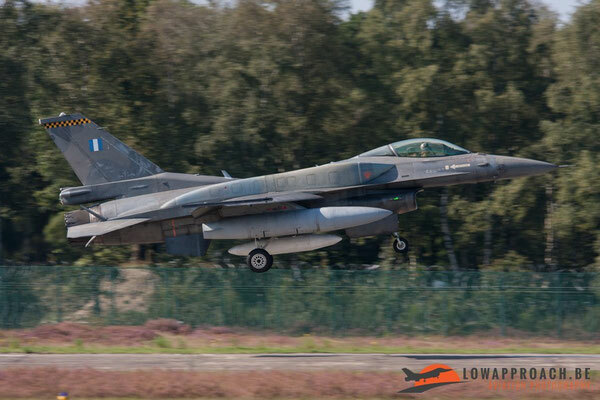 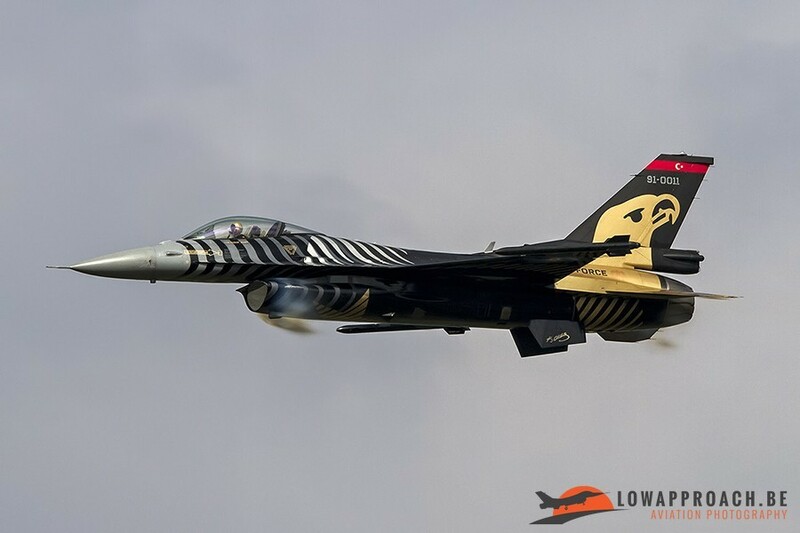 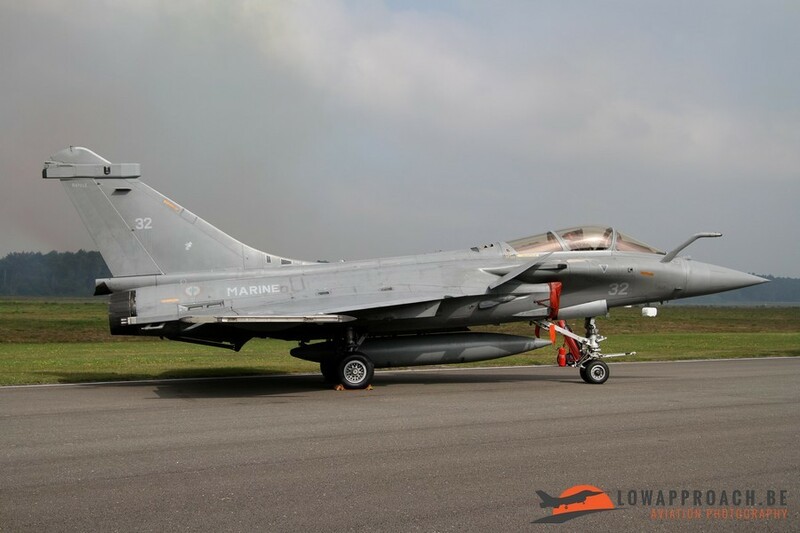 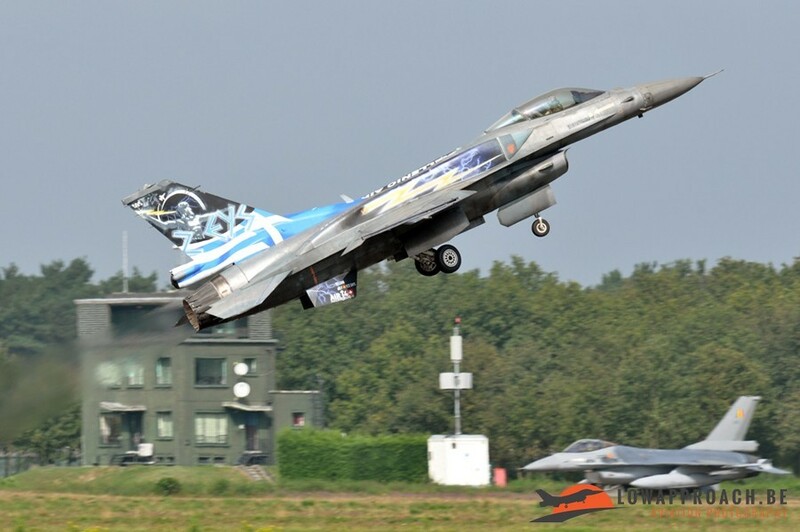 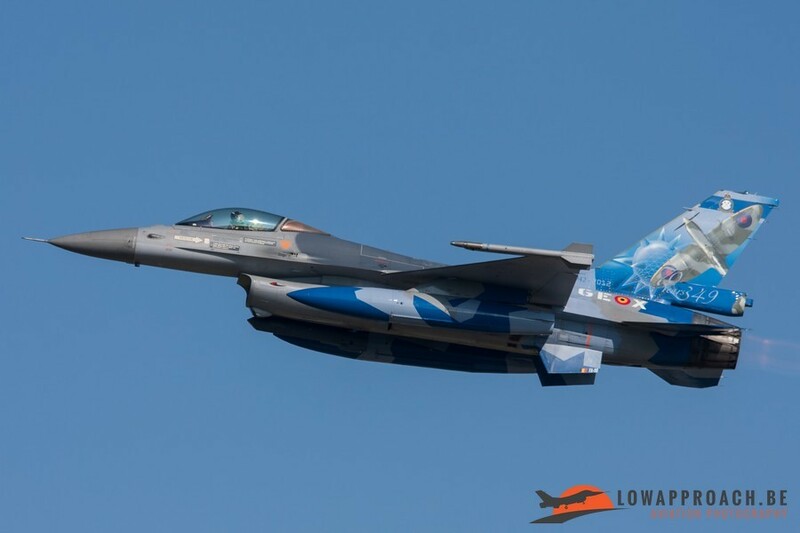 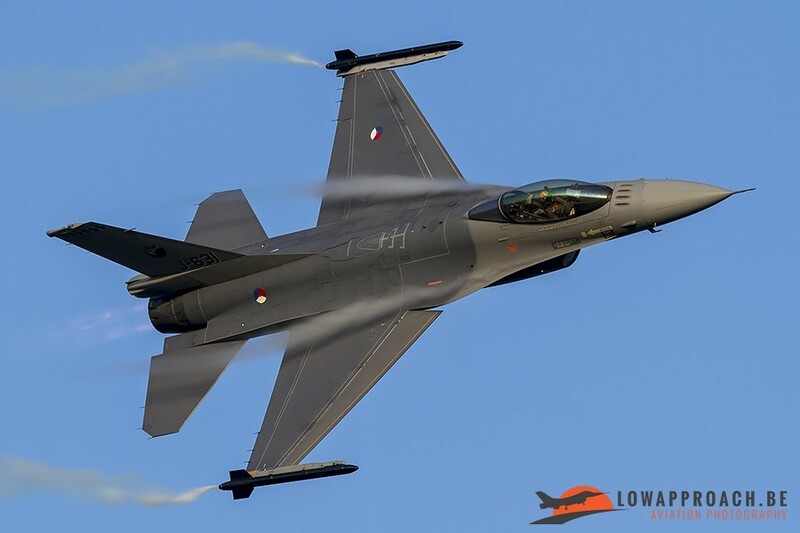 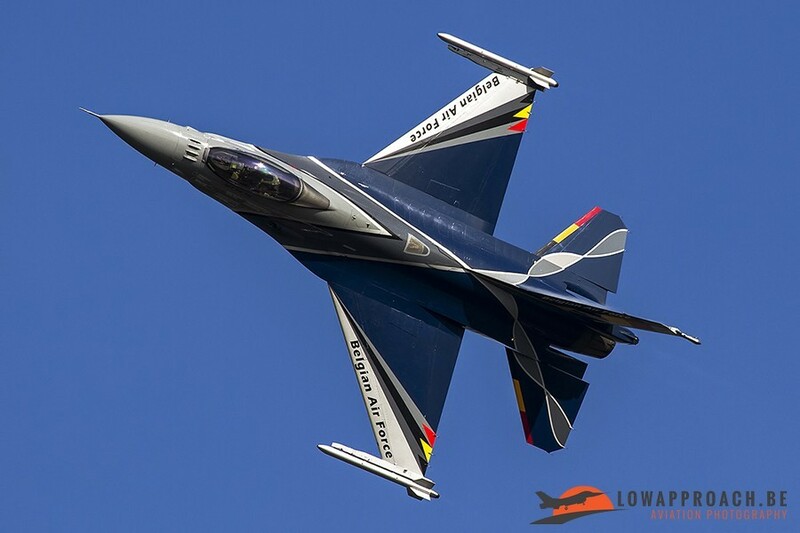 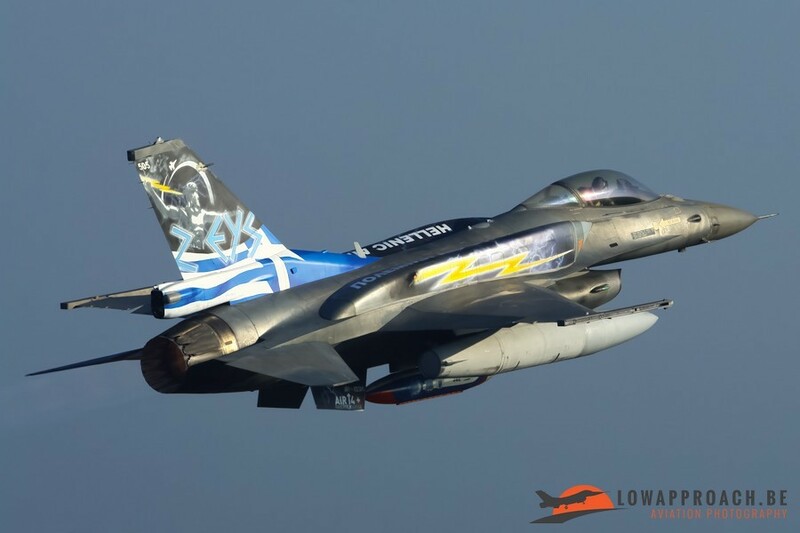 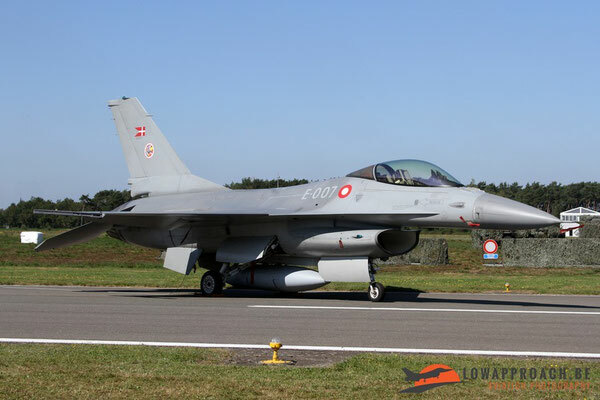 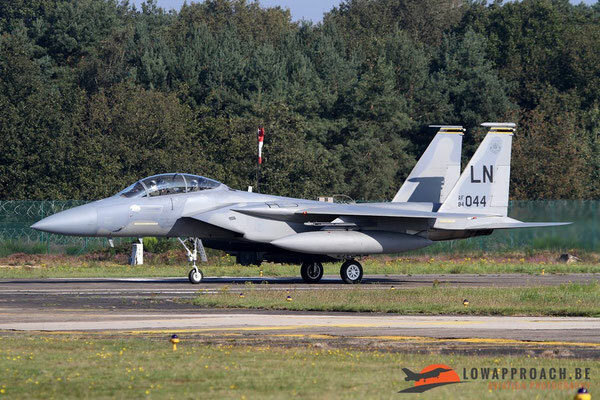 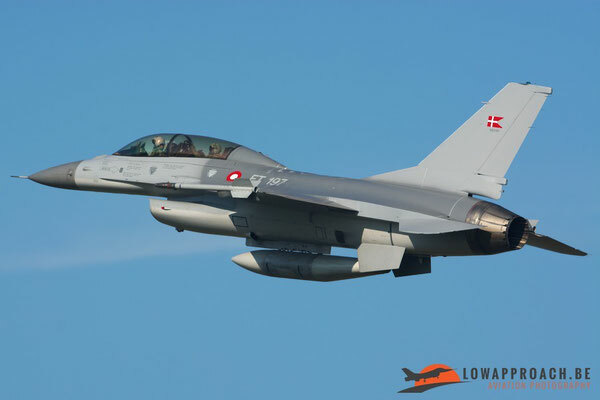 The main themes for this airshow were 40 years of F-16 and 100 years of military aviation in Belgium. For us the airshow at Kleine Brogel was kind of a “home game” because most of us don’t live very far from this base. So it was obvious that we were present from the beginning till the end of the airshow movements. 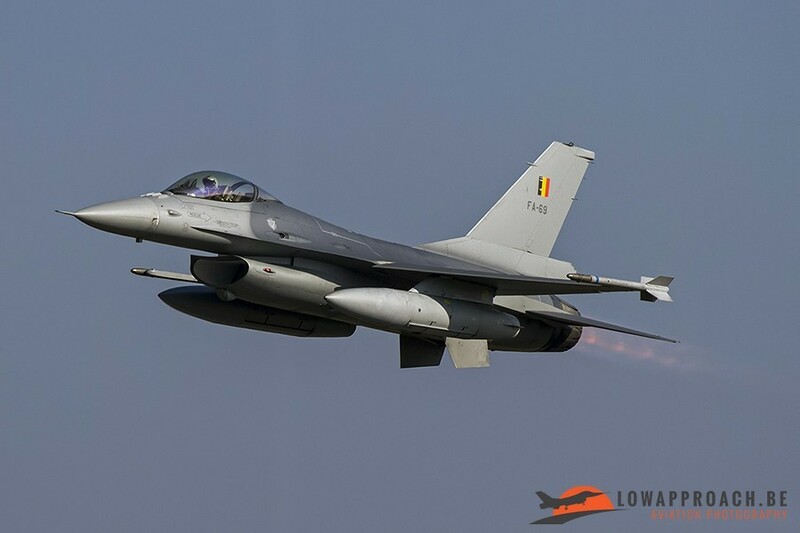 The first signs that the airshowdays weren’t that far away anymore was the rehearsal from the Belgian F-16 demoteam on Tuesday. Not long after this rehearsal had ended the first foreign participants and transport aircraft started to arrive. 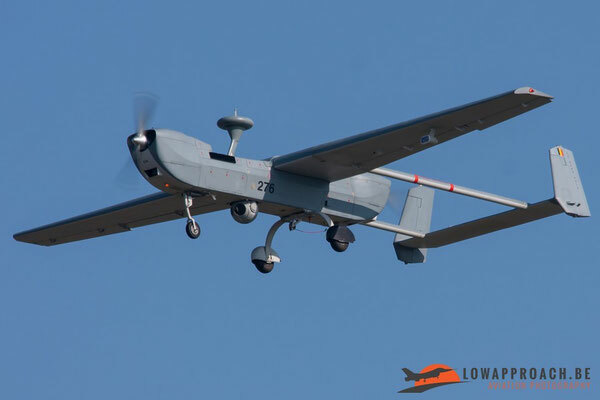 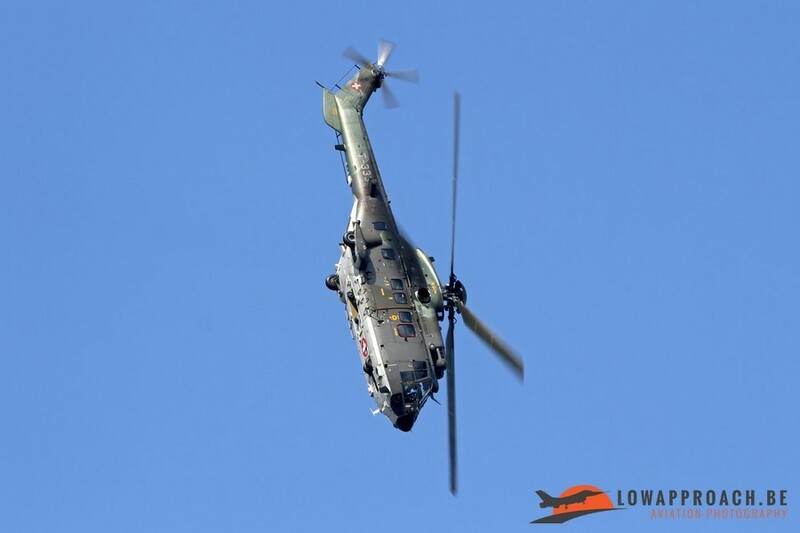 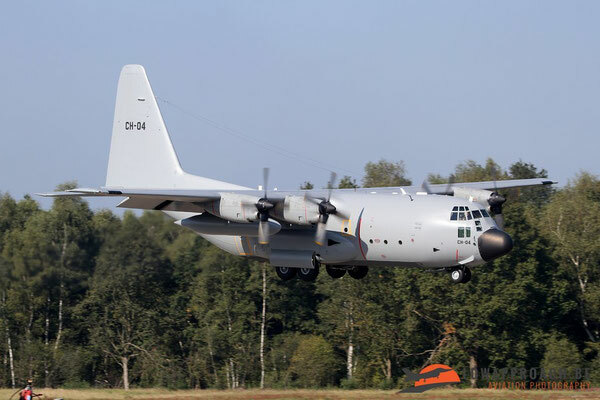 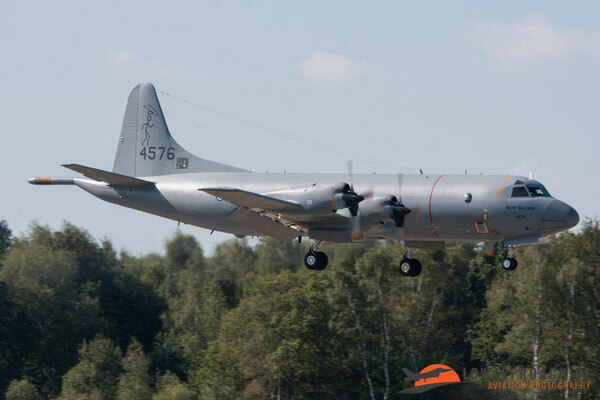 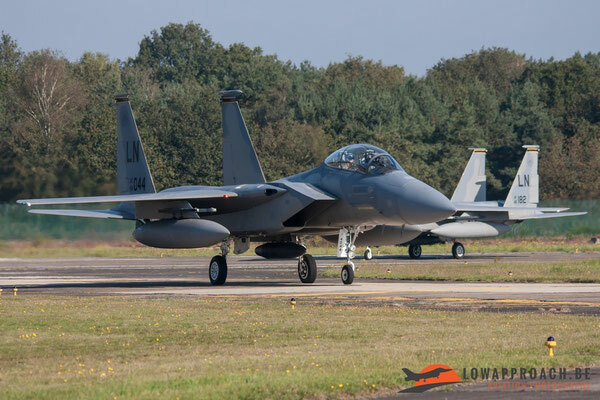 The first foreigners to arrive at Kleine Brogel were immediately special ones, a C-130 and the demoteam “Al Fursan” from the United Arab Emirates. 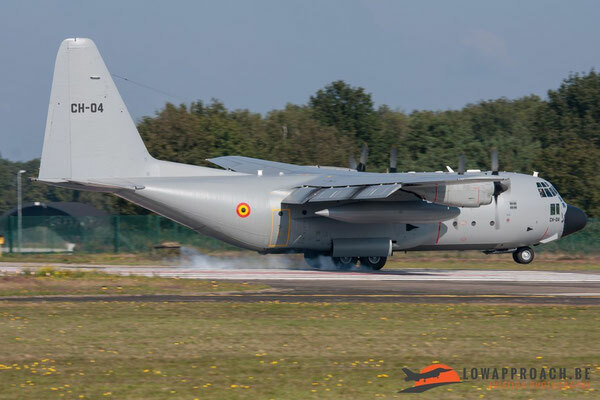 On the Wednesday we could witness the rehearsal from the power demo from the Belgian Air Force and after that there were again some arrivals from participants for the flying display and the static display and mostly closely followed by their support aircraft when they came from a foreign country. Thursday saw the arrivals of another bunch of aircraft. 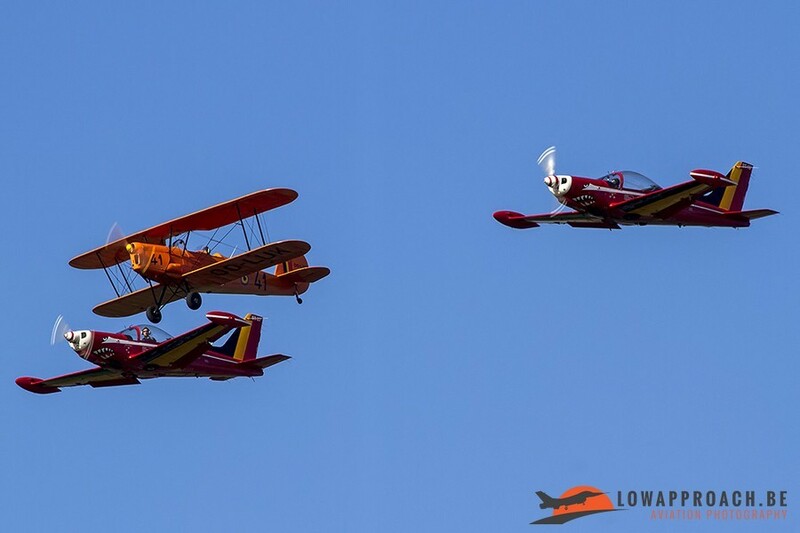 These were mostly aircraft that were going to take part in the flying display. 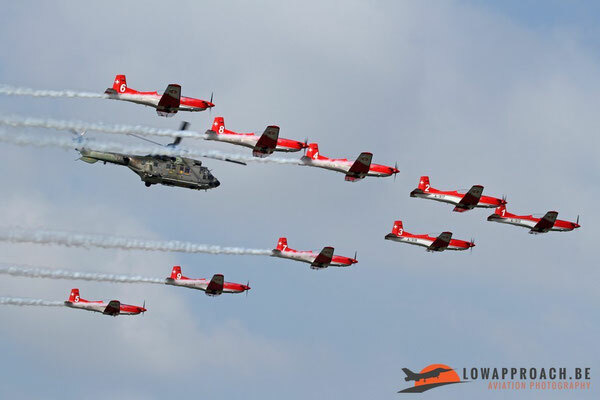 Before noon there were mostly the arrivals of airplanes and helicopters and in the afternoon we already saw some rehearsals from foreign participants and these lasted until the late afternoon/early evening. 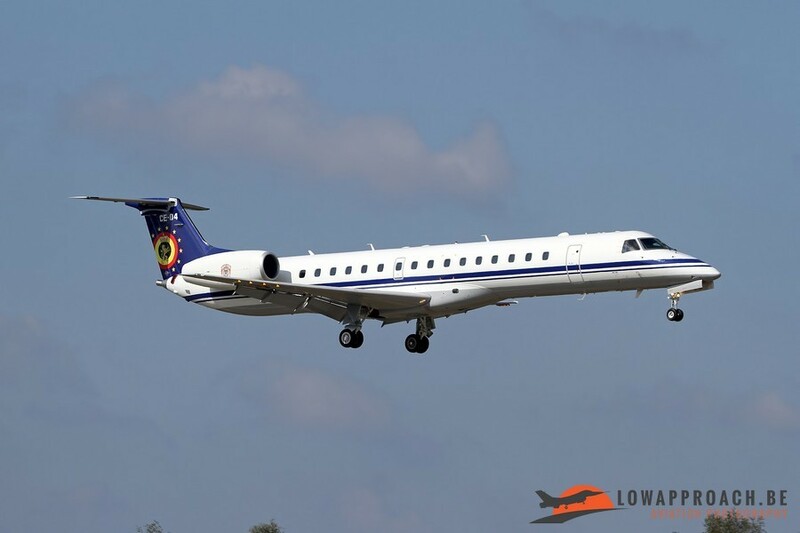 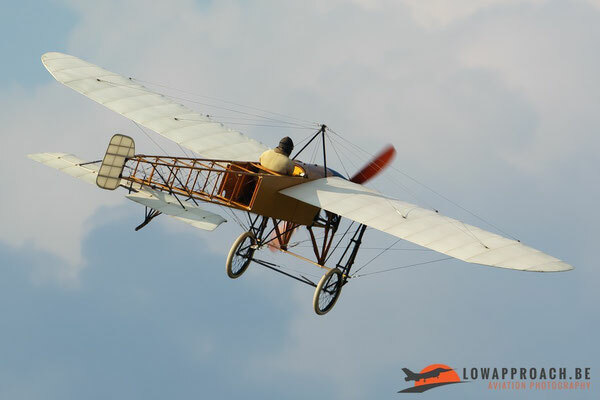 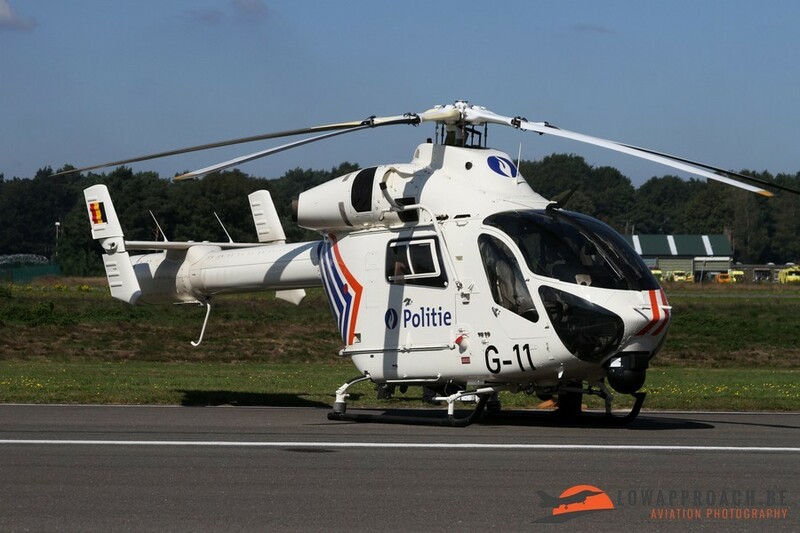 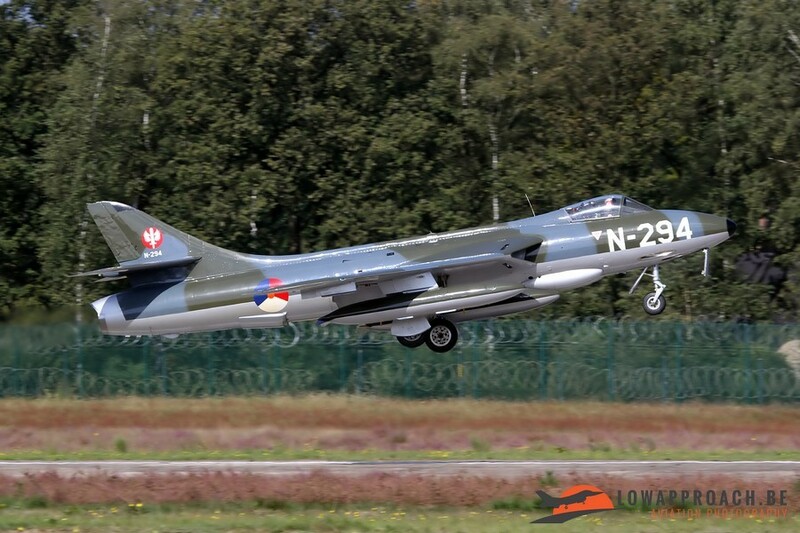 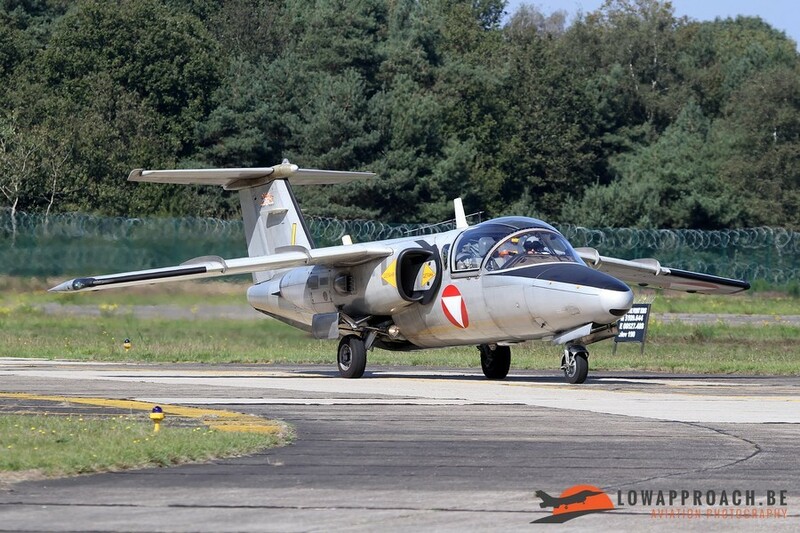 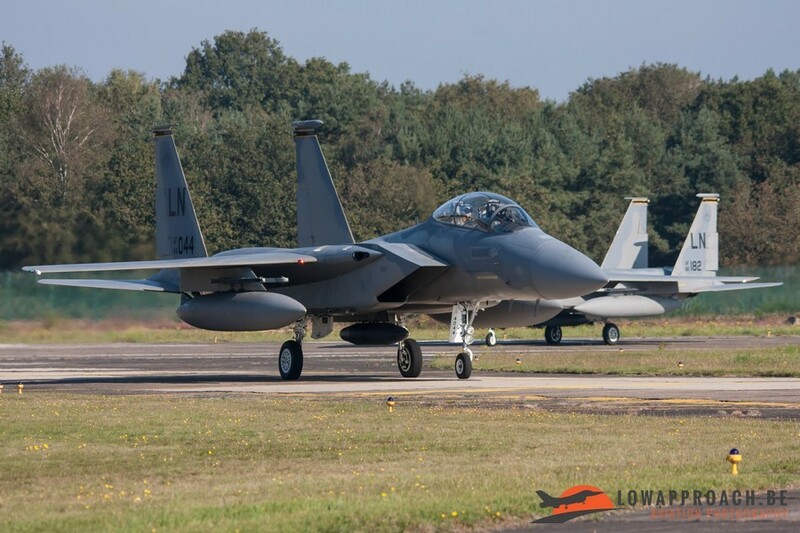 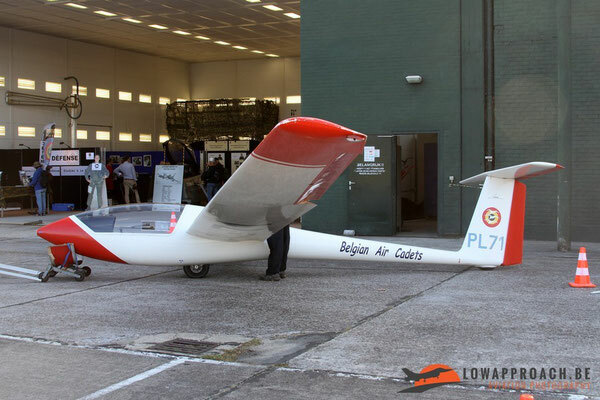 On Friday the airbase organized a spotters day for the aviation enthusiasts . The weather was really beautiful and the organization provided enough space so that every spotter had a decent spot to take pictures and you could easily photograph the static display throughout the whole day. 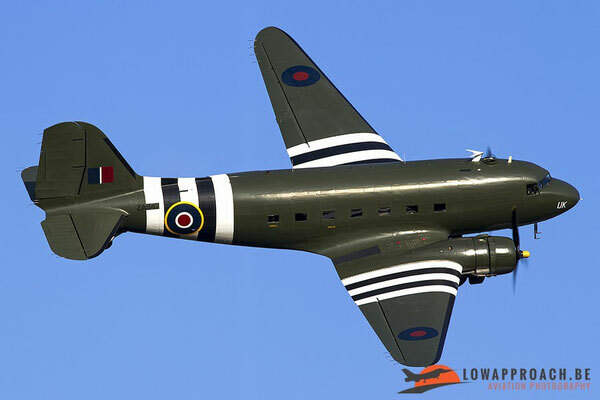 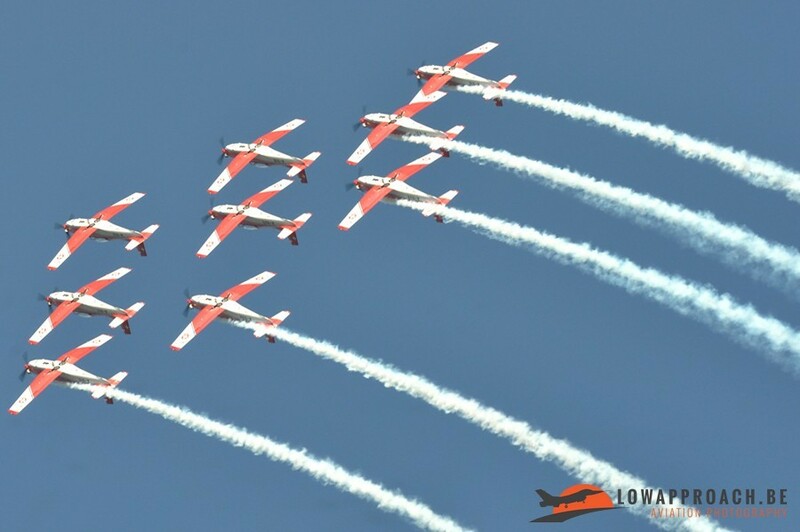 During the day we saw the arrivals from the last participating airplanes and there were also several rehearsals throughout the day. 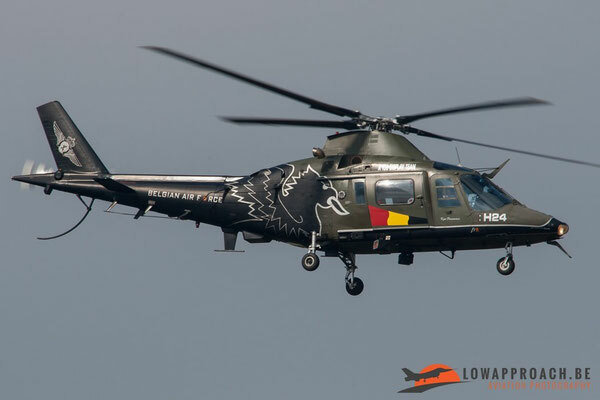 And during the spottersday the Belgian Air Force once again practiced their power demo. In the afternoon there were a couple of special formations flown by aircraft that were and still are in service within the Belgian Air Force. 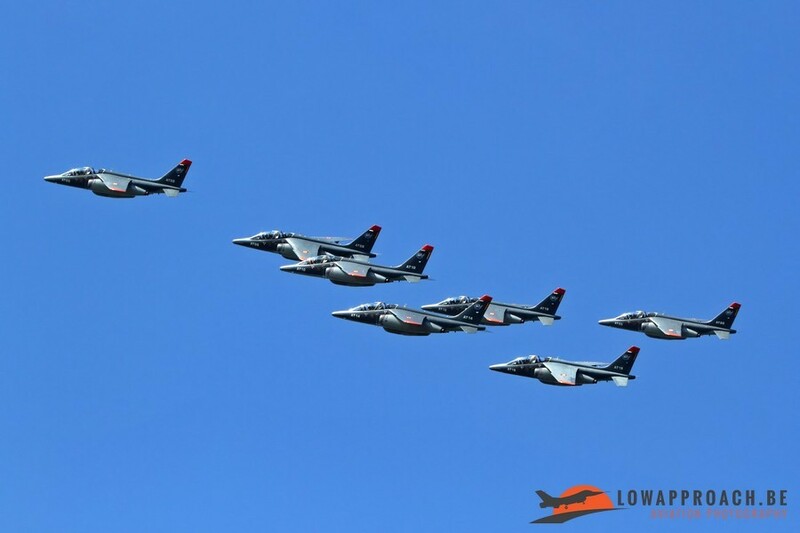 And then it was already time for the real airshow during the weekend. 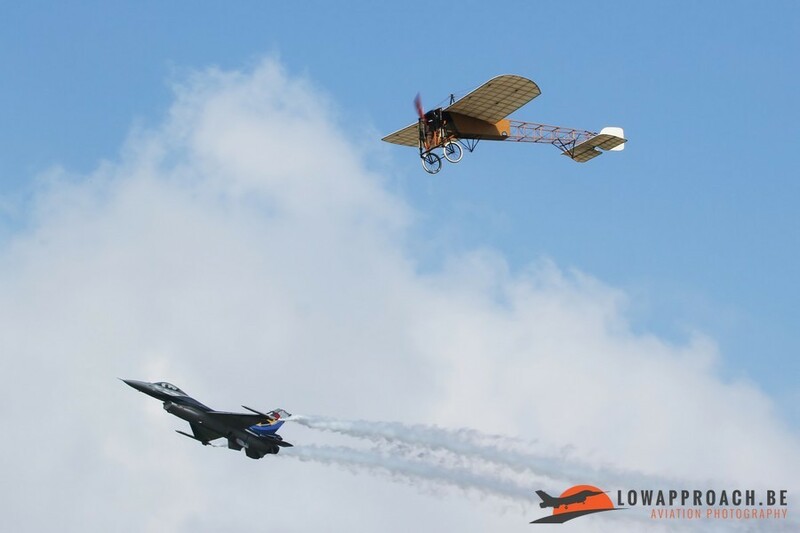 Both days were pretty much the same, both for the program but also the weather. The days started cloudy but at noon it began to clear up and slowly the sun came through so that eventually all pilots could perform their good weather show. 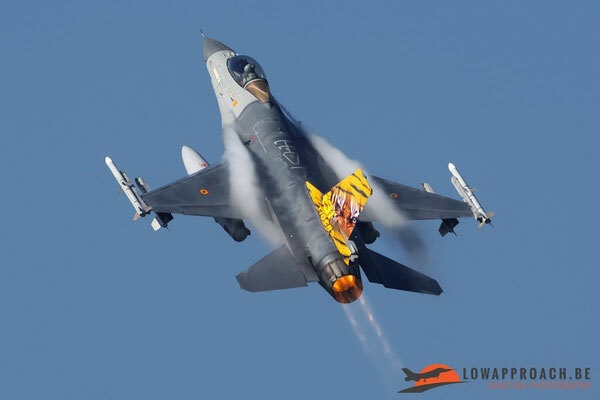 As said earlier in this review, one of the main themes from this airshow was 100 years of military aviation in Belgium, so the organizers put together a big power demo at which almost all front line types from the Belgian Air Force and some aircraft from other nations took part at. 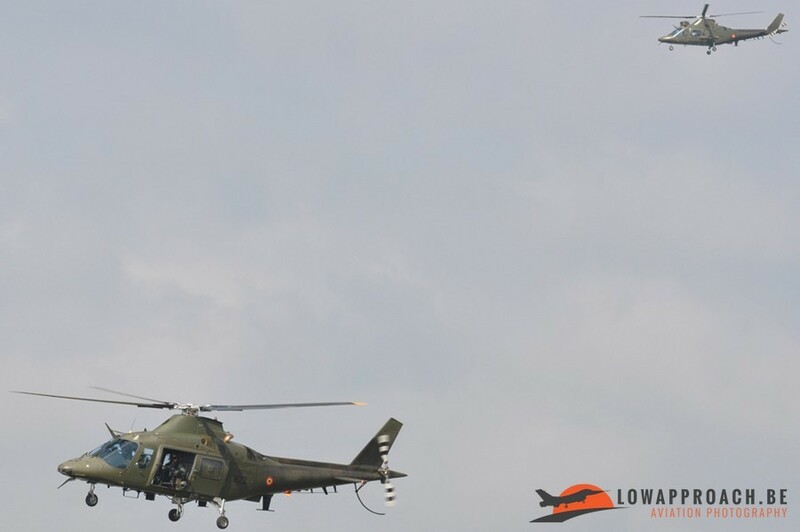 The scenario was that a rebel group occupied a small town and held some hostages that needed to be rescued. 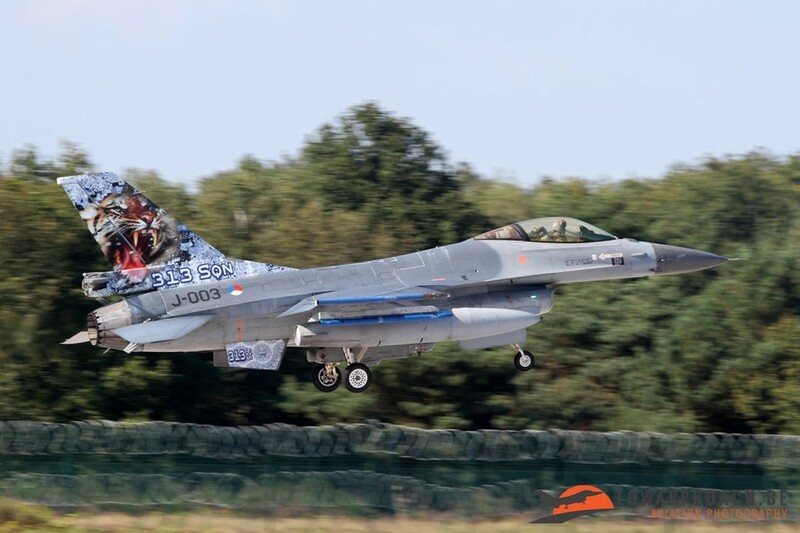 The scenario was made as realistic as possible. First there was a fly-past from a B-Hunter UAV to gather information about the landscape and critical positions from the enemy. 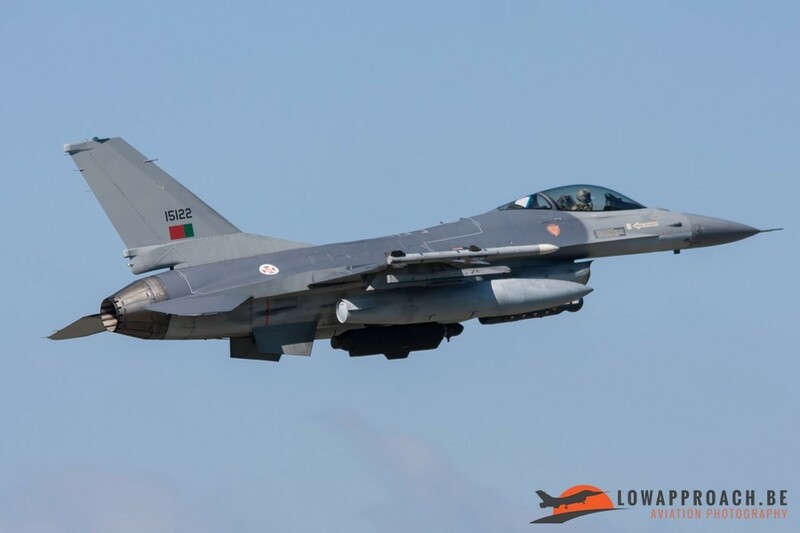 After the pass from the UAV there were a couple of passes from F-16’s who performed some bombing runs to destroy the most dangerous installations from the enemy. 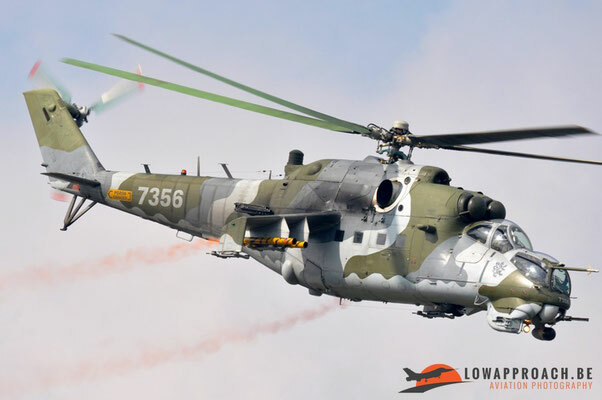 After these passes there was the intervention of Czech Mi-35 and Belgian A-109 to take out the remaining smaller positions around the town. These 2 helicopters where closely followed by an A-109 and an NH-90 who dropped of special forces while still being covered by the Mi-35 and A-109’s. 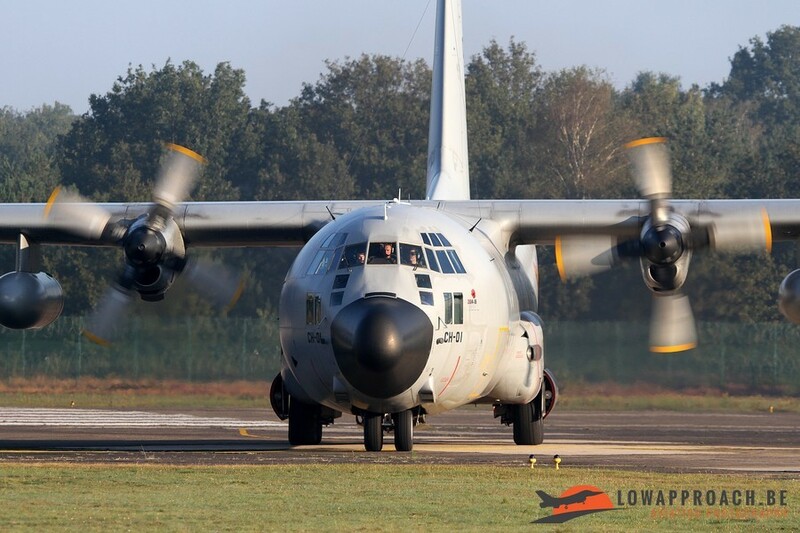 Shortly afterwards a C-130 landed with more special forces for reinforcement and material. 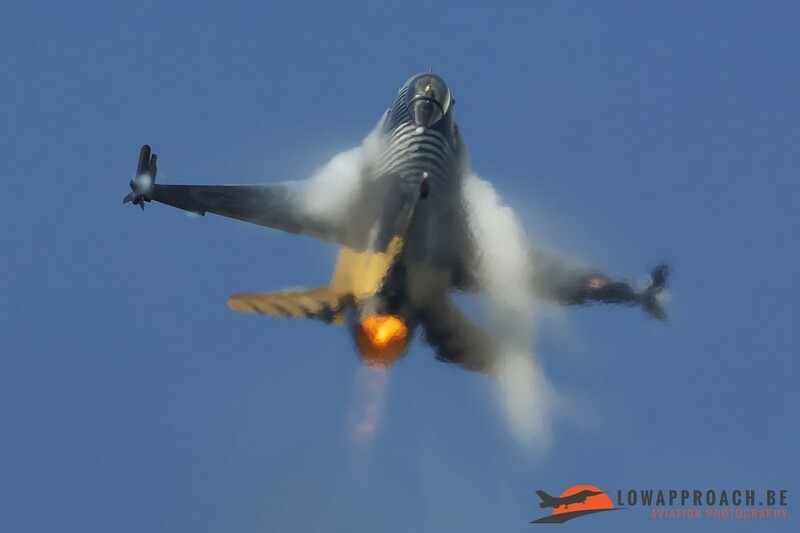 During all this the F-16’s provided CAP support so that no enemy aircraft could intervene the operation that was taking place on the ground. After the air power demo was finished all involved airplanes performed a fly-past before landing. Another main theme during this show was the 40th anniversary of the F-16 Fighting Falcon. These were well present at this airshow, also both in the air and on the ground. 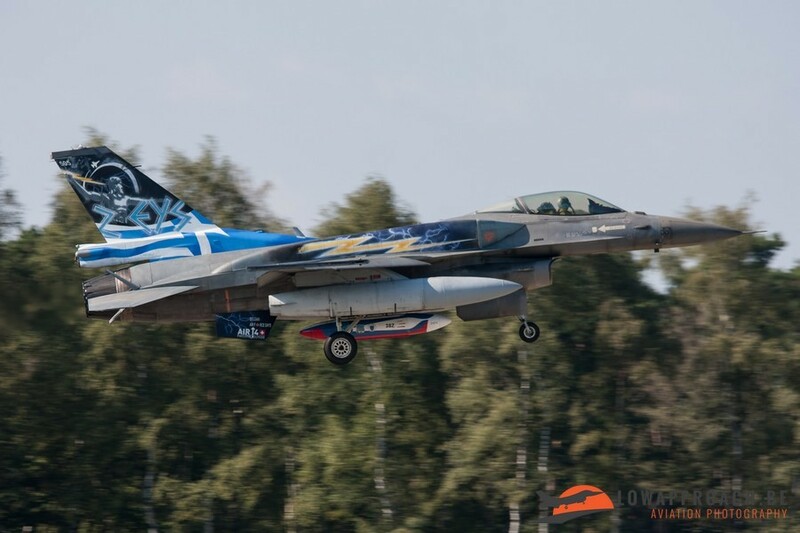 In the flying display there were F-16’s from Belgium, The Netherlands, Greece and Turkey. 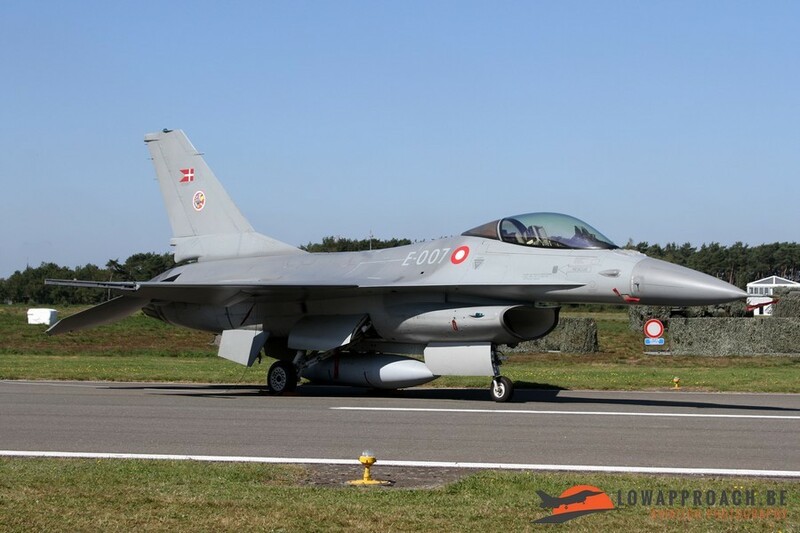 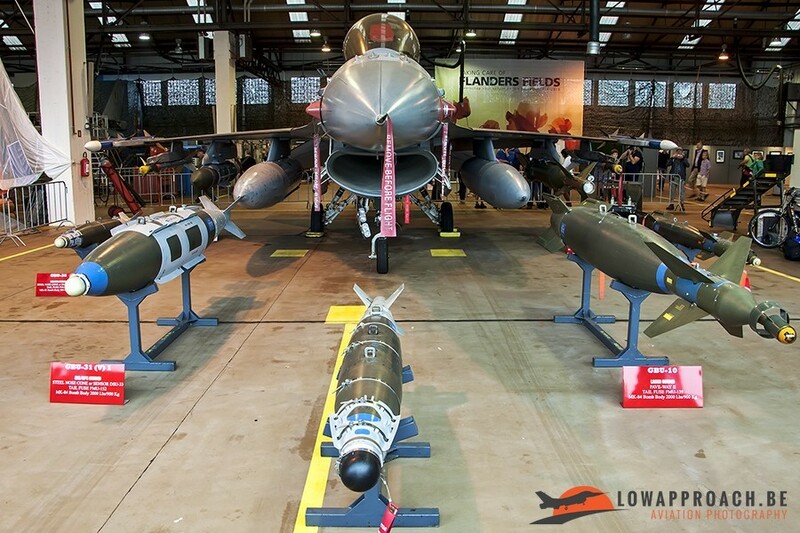 And in the static display various F-16’s from Belgium, The Netherlands, Denmark and Portugal could be found. 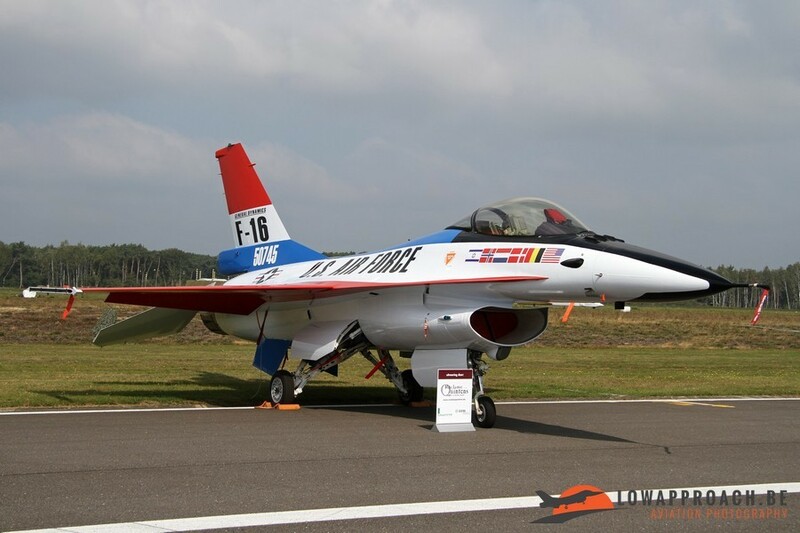 The organization even had a special F-16 in the static, that wore the prototype colours. 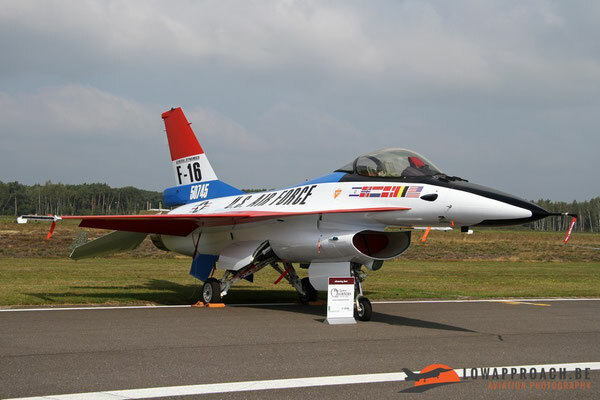 The F-16 used to replicate the prototype F-16 was the FA-104. That the organization really wanted to celebrate these 2 main themes could easily be seen by the number of display teams they invited for the show. No less than 6 big demoteams were present at the show! 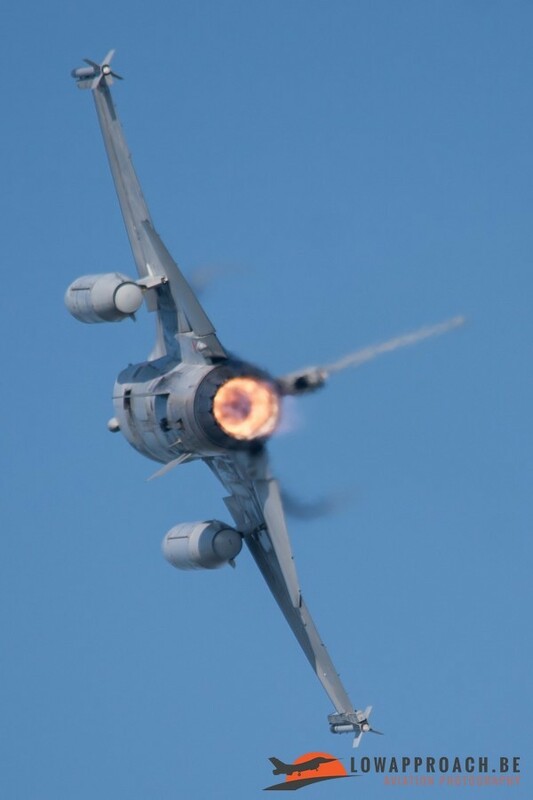 And there were also some really interesting solo displays from fighter aircraft, propeller aircraft and helicopters to top it of. 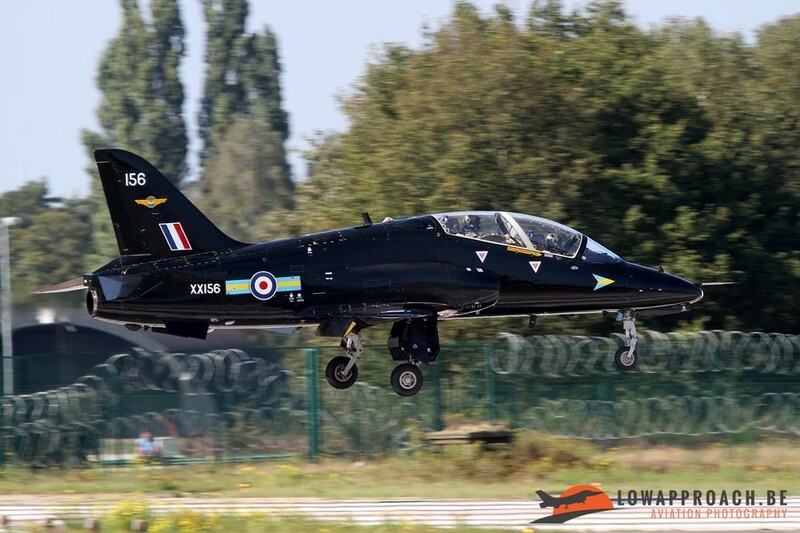 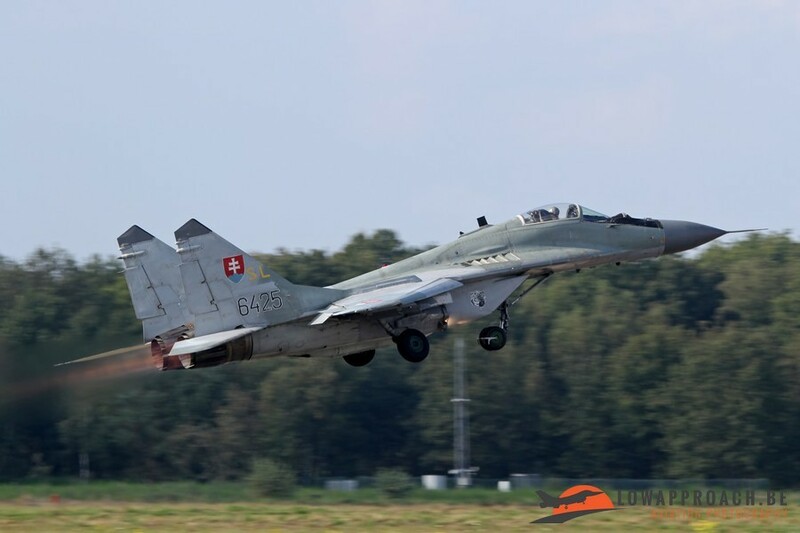 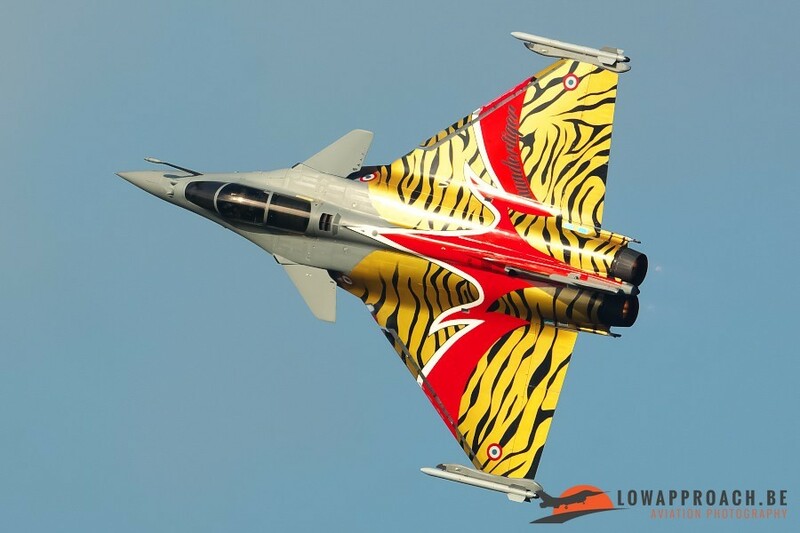 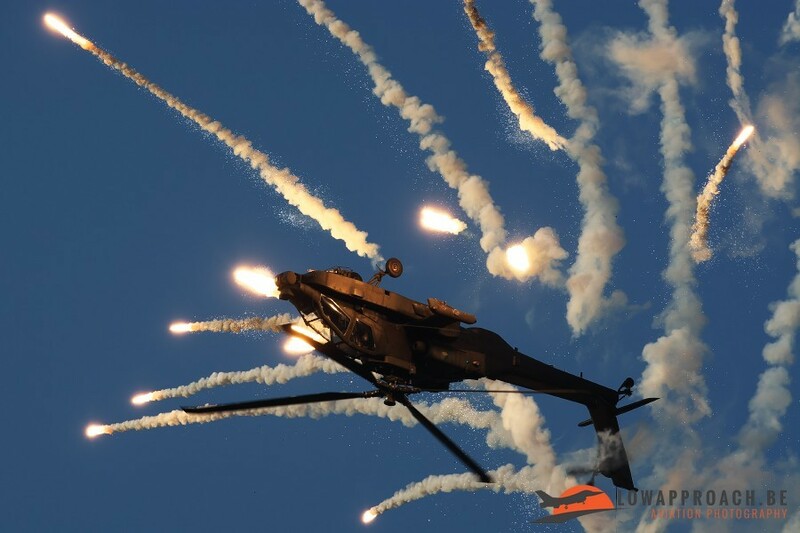 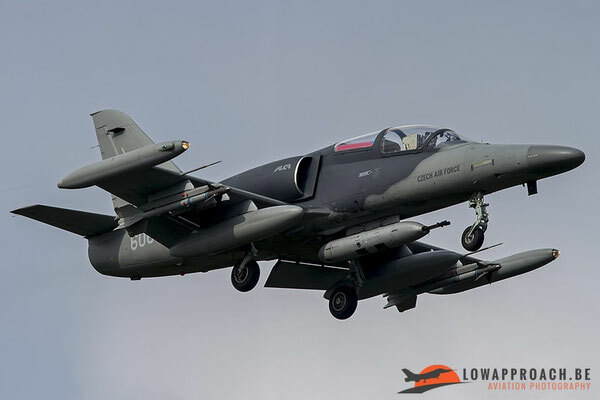 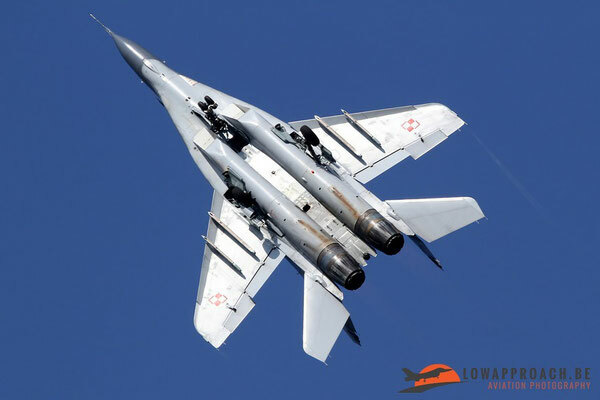 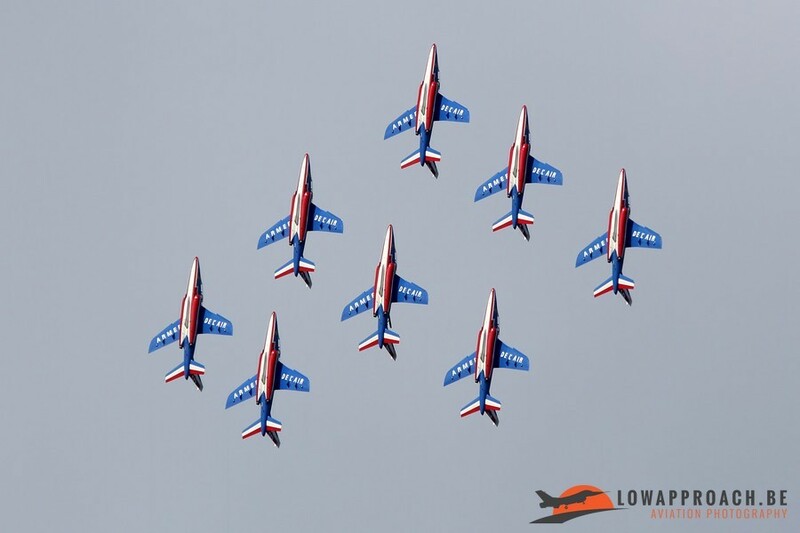 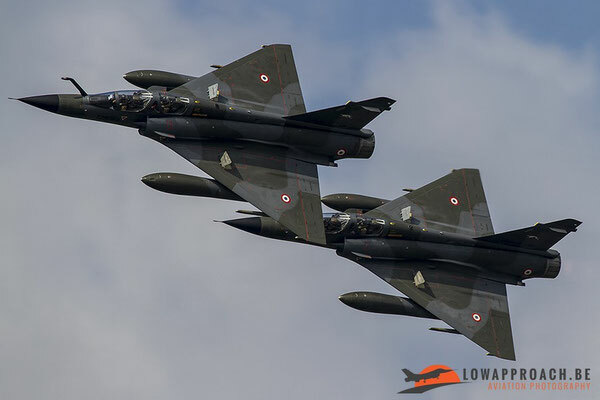 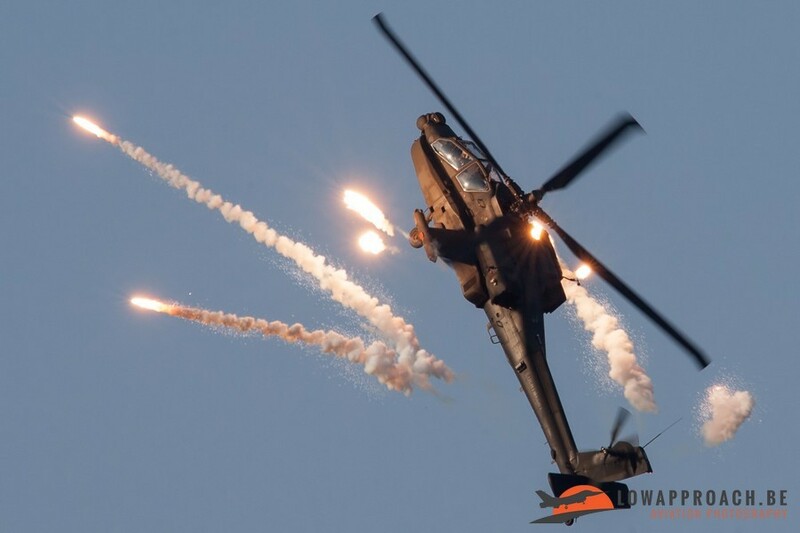 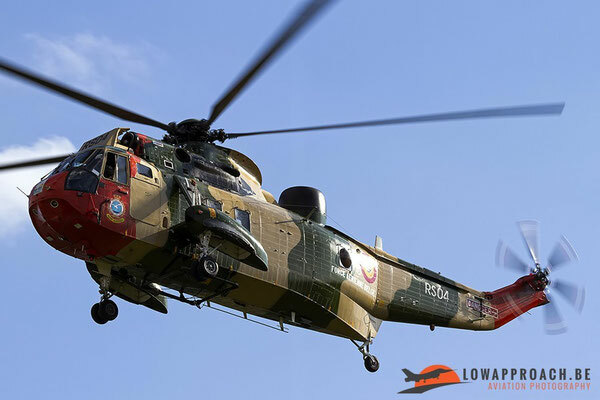 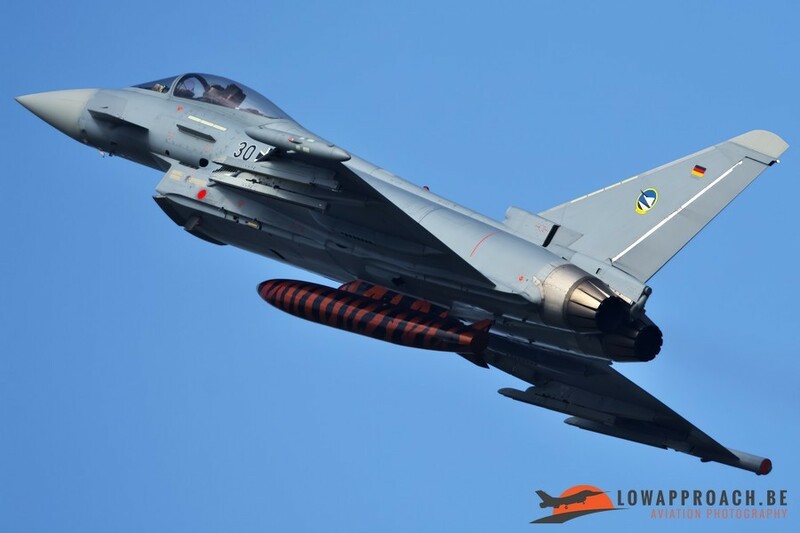 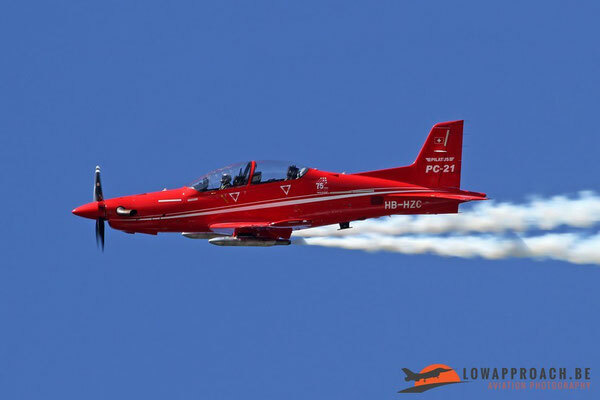 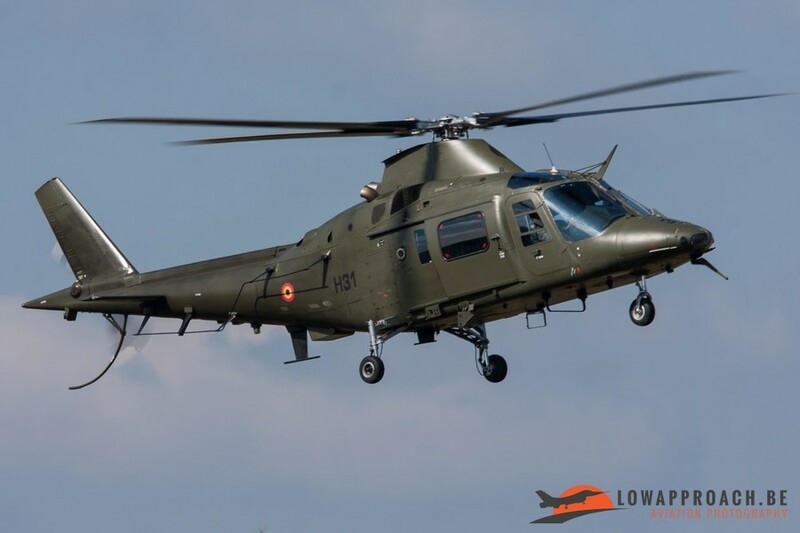 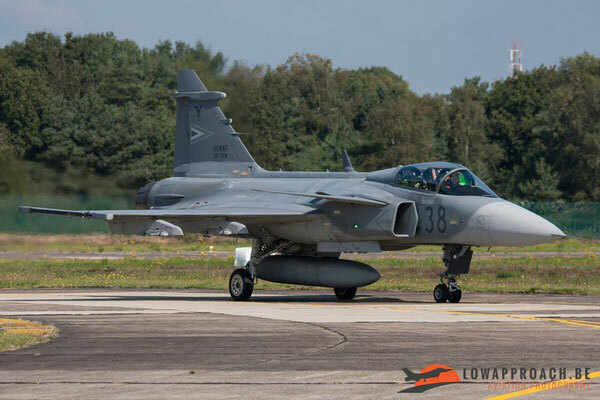 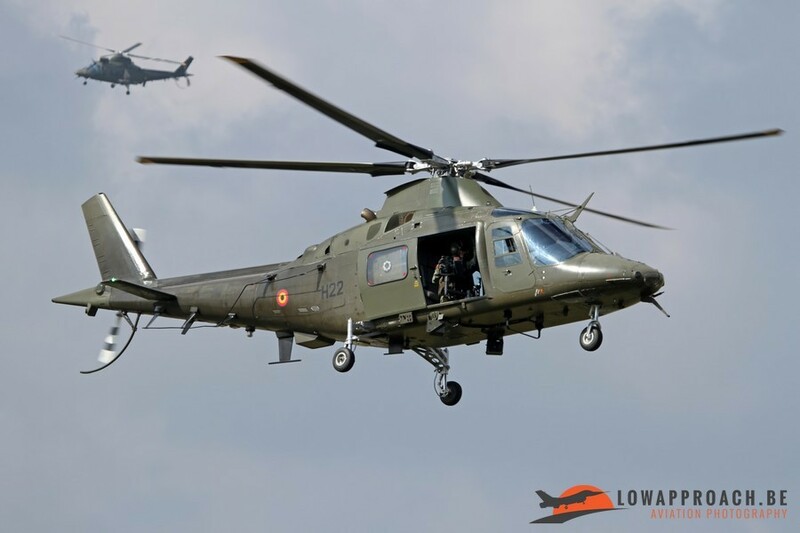 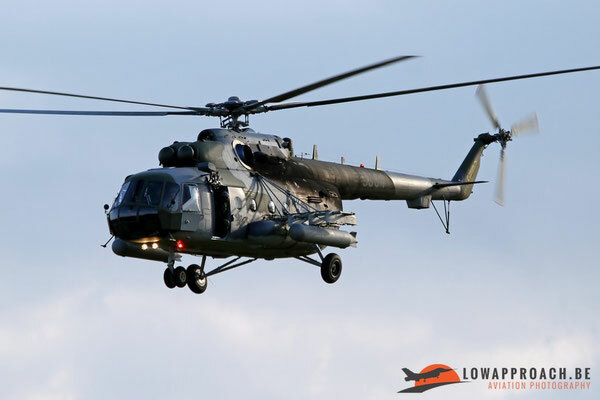 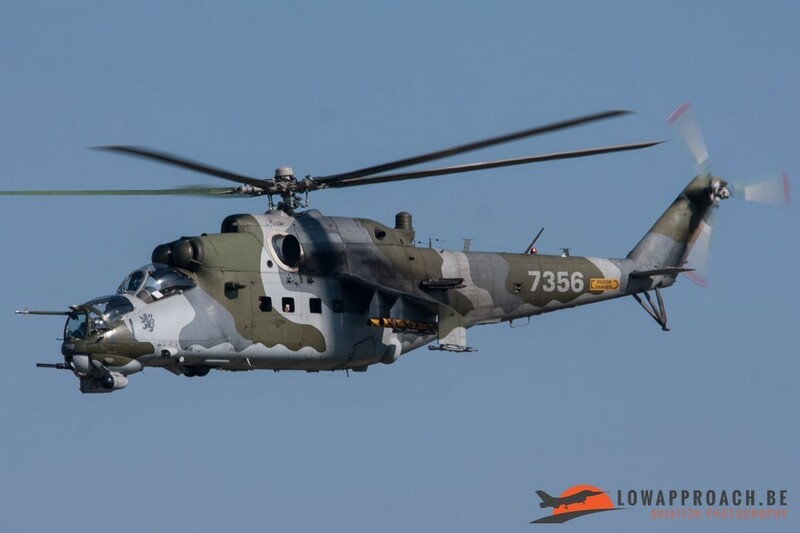 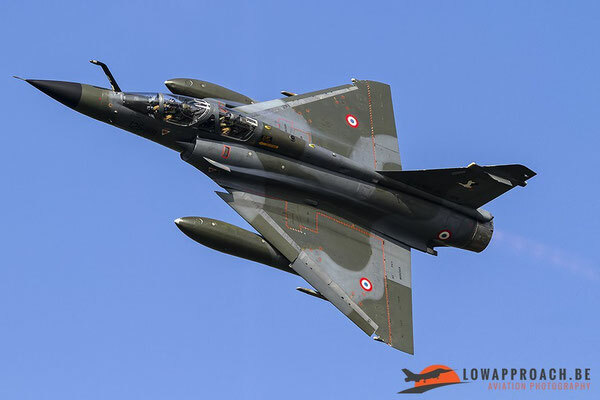 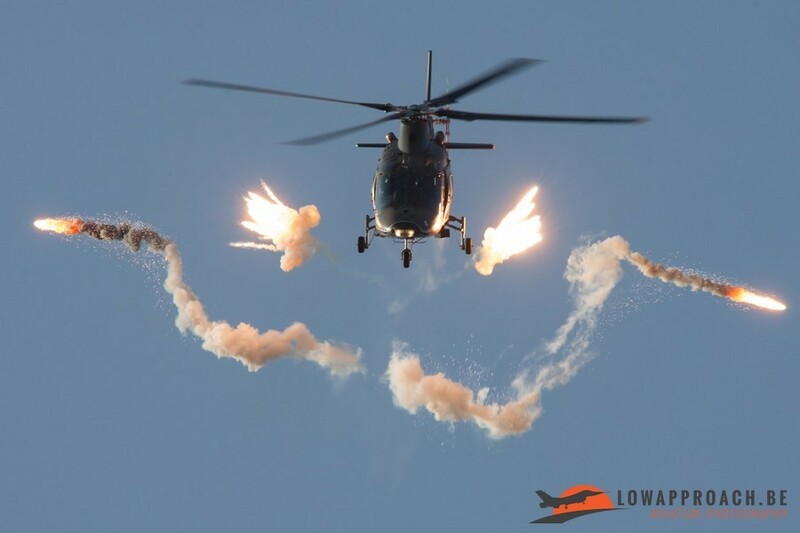 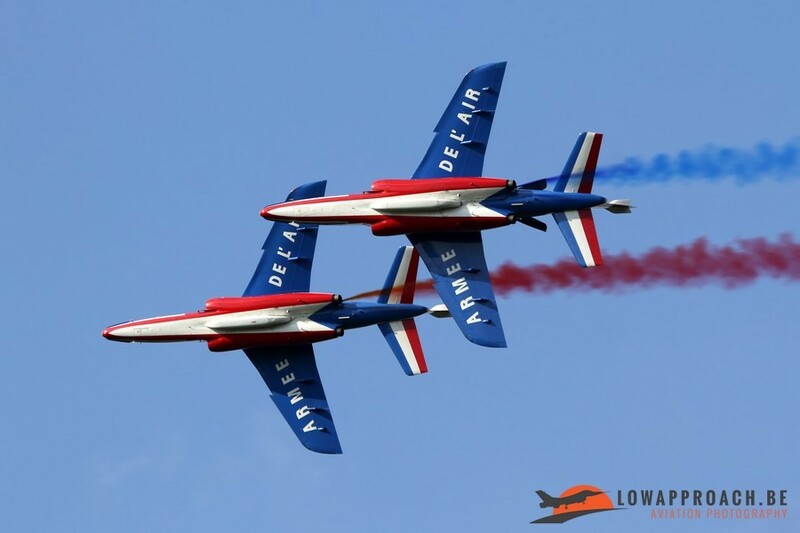 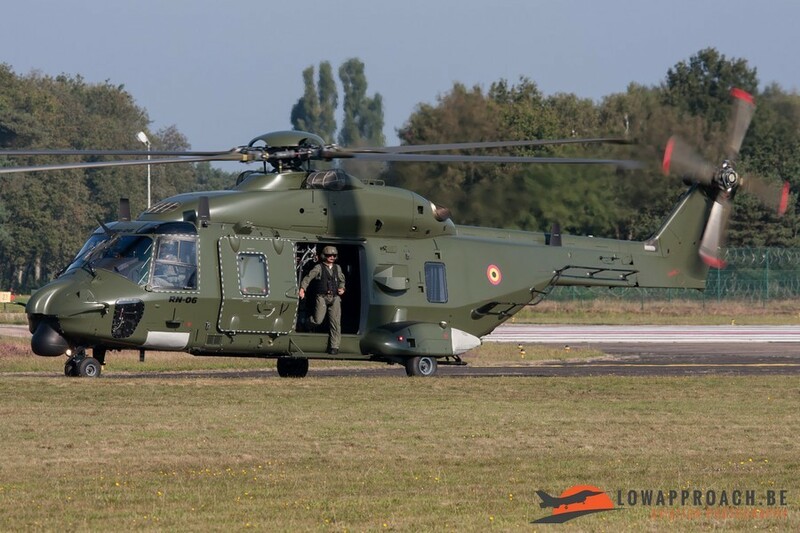 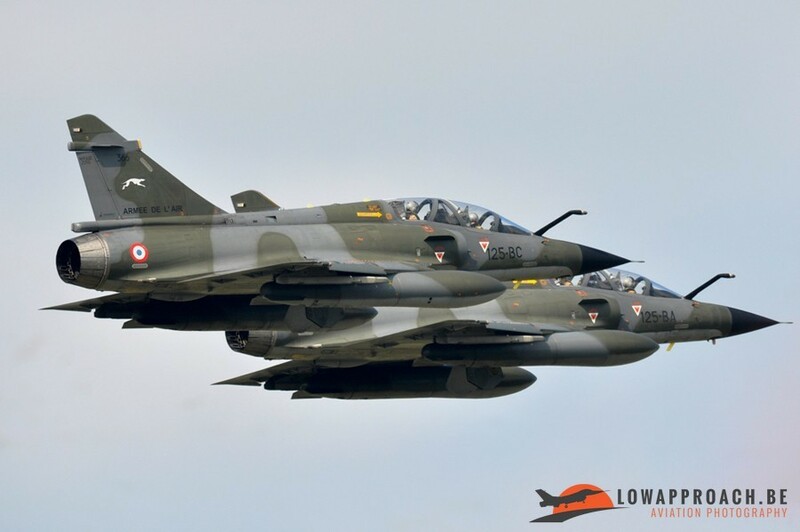 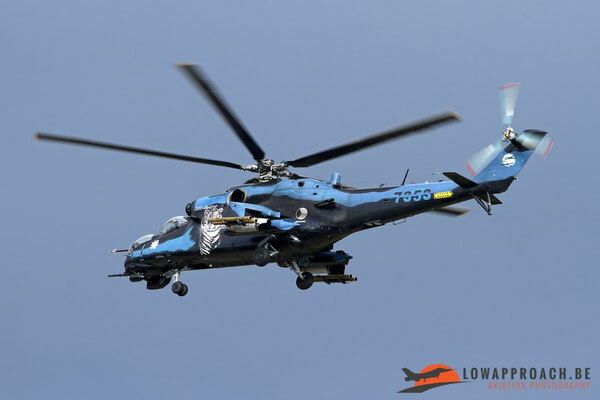 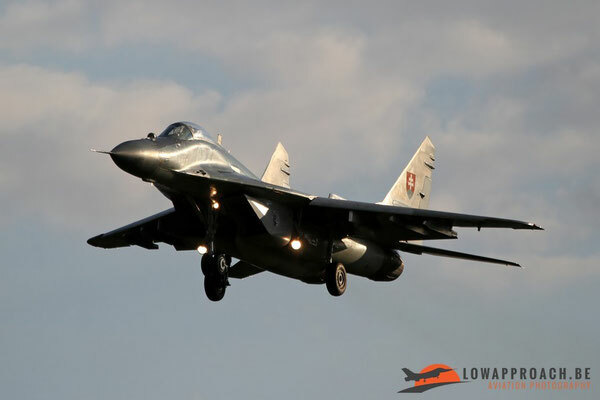 A couple of solo displays we would really like to mention were the Polish and Slovak Air Force’s Mig-29 display, the French Air Force Rafale solo display and Ramex Delta tactical display and the Czech Air Force’s Mi-171 SAR demo. 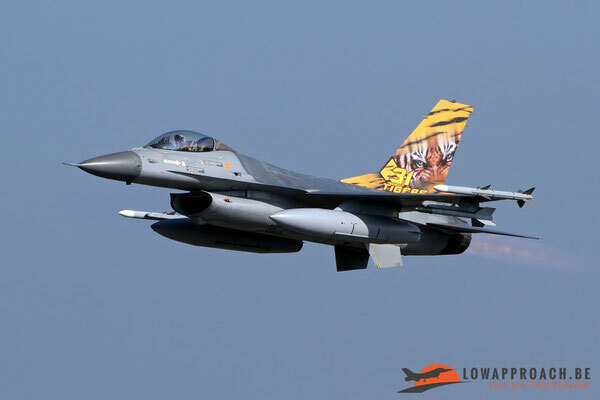 To conclude I think we can say that the Belgian Air Force Days at Kleine Brogel could be easily seen as one of the best airshows held in Europe in 2014 with such an amazing amount of participating aircraft.